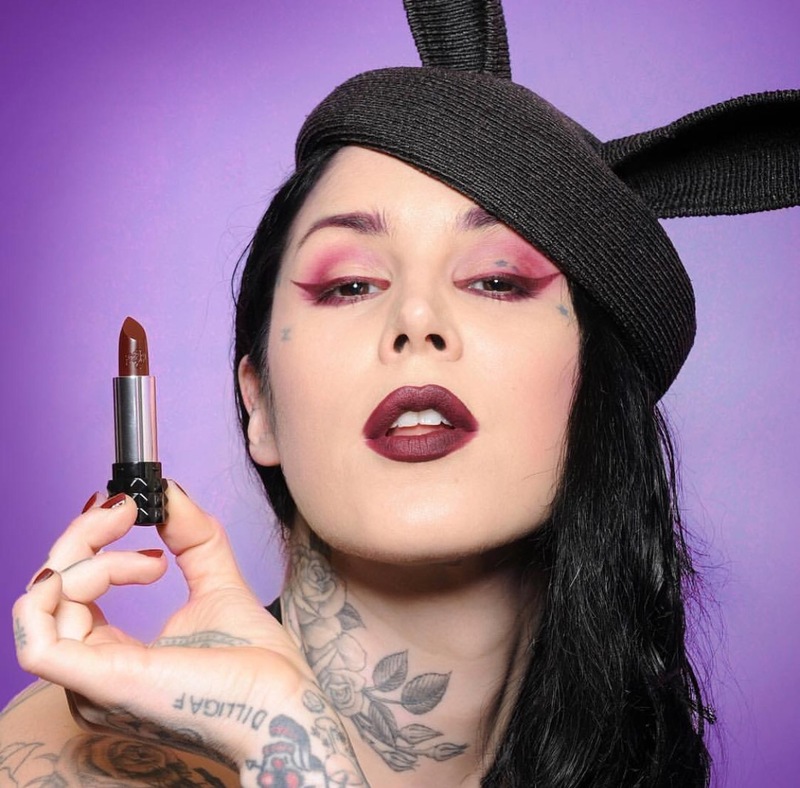 Kat Von D Cosmetics soon available in Singapore? Actually, three little birds told me separately. Like a true (former) journalist, I decided to share this bit of info after checking with three independent sources. Kate Von D, the queen of tattoos, eyeliner and lipstick, is purveying her line of cosmetics in the Little Red Dot. Her best-selling lipsticks and liners are always sold out. So, if you don’t know who she is and why you should care (especially when you are a beauty junkie), here’s some info for you to get up to speed. 1. She’s like burlesque dancer Dita Von Teese with her bold lipstick, wing-tipped liner, and bang-bang body. But with tattoos up to her face and neck. 2. The 34-year-old American tattoo artist shot to fame when she starred in the tattoo shop reality TV show Miami Ink in 2005. She has been pricking skin since she was 16. 3. Her make-up line is a manifestation of her personality, and gives access to her signature looks. And no on has more cred to call her eyeliner a “Tattoo Liner”. 4. Her larger-than-life personality and role model behaviour (sometimes), has gained her more than 4 million Instagram followers. And by the way, all pictures on this post were grabbed off @thekatvond/Instagram.